Recognition by United Nations Educational, Scientific and Cultural Organisation (UNESCO) can instantly transform a previously unheralded destination into a national treasure – catapulting everything from the Tower of London to the Medina of Fez into the global conscience. Less than one thousand locations around the world are included on the list, with fierce competition between nations each year to ensure their entries are included. Some 39 properties were considered for inclusion at UNESCO’s annual committee meeting this year, with a total of 21 having been judged to make the grade as the curtain fell yesterday. Here Breaking Travel News takes a look at the new members of this most exclusive club. The initial UNESCO campaign began in 1959, following an Egyptian decision to build the Aswan High Dam. Construction of the dam would have flooded the valley below, including the ancient Abu Simbel temples. While the dam was built, the temples were dismantled and reassembled on higher, drier ground. In 1978 UNESCO added 12 sites to an initial list. In the years since, sites have been nominated based on a specific set of criteria — which include representations of “a masterpiece of human creative genius” and examples of “superlative natural phenomena” — and are then voted on by the committee, made up of members from a variety of countries. Today the UNESCO World Heritage List is divided into various categories, with sites recognised for their natural or cultural value. A select few are included to raise global awareness of a threat to their survival. This year four destinations were added to that list: Bagrati Cathedral and Gelati Monastery (Georgia); Rainforests of Atsinanana (Madagascar); Tombs of Buganda Kings (Uganda); and the Everglades National Park in the United States. Perhaps the most famous of these is the Everglades (pictured above). The site had previously been on the list from 1993 to 2007, with concerns being raised over the volume of water being siphoned for city use. The same reason sees the site added this time, with UNESCO urging the United States to continue corrective measures to restore and preserve the property. In Africa, the Rainforests of Atsinanana are under threat from illegal logging, while UNESCO considers work to restore the Gelati Monastery dangerous to the integrity of the building. Finally, fire almost completely destroyed the Muzibu Azaala Mpanga building, the main structure royal Buganda tombs, earlier this year, with UNESCO bestowing endangered status while the site is rebuilt. 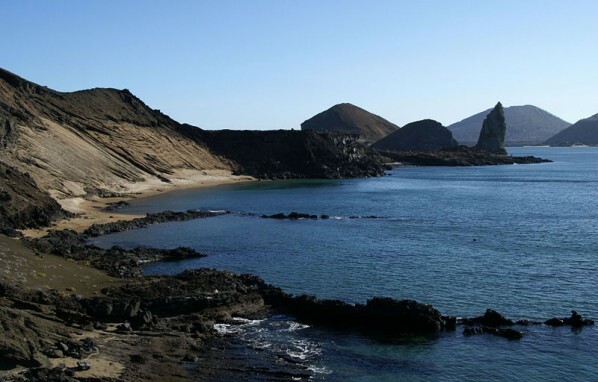 However, there was controversy this year when the Galapagos Islands were removed from the endangered list. The location - which has been called a unique “living museum and showcase of evolution” - was inscribed in 2007 because of threats posed by invasive species, unbridled tourism and over-fishing. The Committee, this year, found significant progress had been made by Ecuador in addressing these problems and welcomed the government’s continuing efforts to strengthen conservation measures, especially in dealing with introduced species. The decision was branded “premature” by Johannah Barry, head of Galápagos Conservancy. “The growing human presence in Galápagos, both through tourism and residents, has put biodiversity at risk. “Introduction of disease, alien and invasive plants and animals are all factors which must be addressed immediately and aggressively,” he added. Just five natural sites were added to the UNESCO World Heritage List this year. In Asia, China Danxia has been approved. The name is given to landscapes developed on continental red terrigenous sedimentary beds influenced by endogenous and exogenous forces. The inscribed site comprises six areas found in the sub-tropical zone of south-west China. 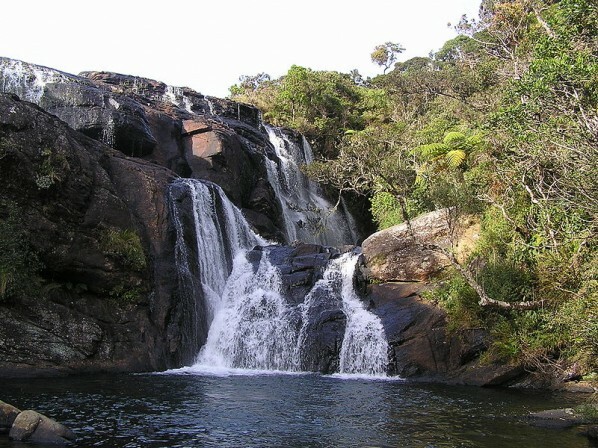 The Central Highlands of Sri Lanka – comprising the Peak Wilderness Protected Area, the Horton Plains National Park and the Knuckles Conservation Forest – were also included. These montane forests, where the land rises to 2,500 metres above sea-level, are home to an extraordinary range of flora and fauna, including several endangered species such as the western-purple-faced langur, the Horton Plains slender loris and the Sri Lankan leopard. As such the region is considered a super biodiversity hotspot. France Pitons, Cirques and Remparts of Reunion Island, Putorana Plateau (Russia) and the Phoenix Islands Protected Area (Kiribati) were also recognised this year. UNESCO has endorsed 15 cultural sites for inclusion on the World Heritage List this year, with the range of destinations stretching from Australian convict sites through to Jantar Mantar in India and the Imperial Citadel of Thang Long-Hanoi in Vietnam. One of the most interesting new additions is Bikini Atoll, the nuclear test site on the Marshall Islands. After the displacement of the local inhabitants during WWII, 67 nuclear tests were carried out on the islands from 1946 to 1958, including the explosion of the first H-bomb (1952). Bikini Atoll has thus conserved direct tangible evidence that is highly significant in conveying the power of the nuclear tests, i.e. the sunken ships sent to the bottom of the lagoon by the tests in 1946 and the gigantic Bravo crater. Tajikistan saw its first UNESCO World Heritage List entry this year, with the Proto-Urban site of Sarazm recognised by the august committee. Sarazm, which means ‘where the land begins’, is an archaeological site bearing testimony to the development of human settlements in Central Asia, from the 4th millennium BCE to the end of the 3rd millennium BCE. The ruins demonstrate the early development of proto-urbanisation in this region. Finally one mixed site – recognised for both its cultural and natural significance was included on the UNESCO list. Papahanaumokuakea is a vast and isolated linear cluster of small, low lying islands and atolls, with their surrounding ocean, roughly 250 km to the northwest of the main Hawaiian Archipelago and extending over some 1931 kilometres. Editor’s Blog: Is it safe to travel in Sri Lanka?